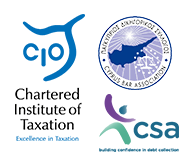 Our law firm located in Cyprus is well placed to provide complete advice across most areas of business and corporate matters. Our business and corporate lawyers are serving as our client’s right hand legal advisors by providing accurate advice, assessing risks, delivering the necessary legal protection and achieving sought after results. In transactional matters, our business lawyers represent clients in business deals advising on legal, tax and negotiation aspects of business transactions as well as undertaking the drafting of contracts. We advise on all matters pertaining to Cyprus corporate law, including corporate governance issues, mergers and acquisitions, the drafting of shareholders agreements and joint ventures, company re-domiciliation, minority shareholders representation, insolvency and restructurings. We negotiate and assist the drafting of loan and security documentations including charges over assets, share pledges, loan settlements negotiations and restructuring as well as undertaking all necessary formalities. If you require legal support in any business or corporate related matter, please contact us and our lawyers would be glad to assist.